Three Tips on How to Choose a Magento Hosting Company? Do you know that hundreds, if not thousands of service providers engage in Magento hosting? Deciding on a Magento hosting company is not easy. This is because you must analyze the benefits and drawbacks of hiring a service provider. For your Magento e-commerce website to be successful, it must be up and running all the time. You should hire a hosting company that can handle all your requirements. Above all, the hosting company must not have complicated rules. Their terms and conditions must be simple. With this being said, let’s learn more about these elements. Never underestimate the power of performance. In this digitalized world, customers look for service providers who ensure high performance. Magento hosting doesn’t complete without “high performance”. Your Magento service provider should be an expert in performance tuning. Definition: Performance tuning is the process of improving the overall speed and turnaround time of your website. It can make your website extremely user-friendly. Most companies skip performance when they choose a hosting company. However, customers have not changed. They are more likely to follow websites that are fast and reliable. As business owners, you must think about performance. To sell your e-commerce website competitively in the market, you must improve the overall performance of your site. If there are two to four websites with similar products, but one website is 20-times faster, which one would customers prefer? Undeniably, they will choose the fastest website. Moving on, you must invest a considerable amount of time and effort on security. If you have an e-commerce website, security should be one of your top priorities. Your site should be able to handle critical financial details like personal information and credit card numbers. All Magento e-commerce websites are expected to handle credit card numbers and contact information securely. Any “problems” in this topic can cause serious damage to your business. No business can risk security. When data gets compromised, the business is bound to close. 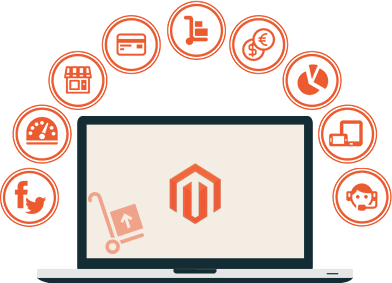 Fortunately, Magento allows business owners and developers to take care of security in the best possible manner. Talented Magento hosting companies have virtual partitions and private servers for every business. This means the risk of hacks and potential exploitation comes down. Your e-commerce website cannot be opened up easily. Always ensure that the Magento hosting company is PCI compliant. Last but certainly not least, you must ensure that the Magento hosting company is reliable. Many hosting companies are managed by a single person. These hosting companies are founded as a hobby. Your e-commerce website should not be managed by these web hosting companies. Always choose Magento hosting companies with experience and expertise. They should have hosted similar websites in the past few years. Also, they must have been the business for years. Top Tip: Fear not! You have so many Magento hosting companies to choose from.